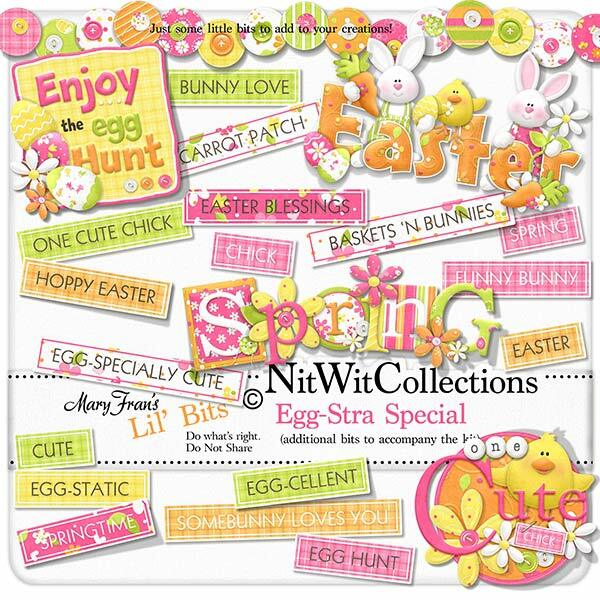 Lil' Bits "Egg-stra Special" contains plenty of extra elements to co-ordinate with my "Egg-stra Special" Fat Quarter Bundle Collection. You know you're going to need a few extra extra elements for this Spring/Easter Collection. Elements in the Lil' Bits are not included in the "Egg-stra Special" FQB. 1 Wordart - "Enjoy the Egg Hunt" - giving you an ideas?? 1 Wordart - "Spring" - yes....it's coming!